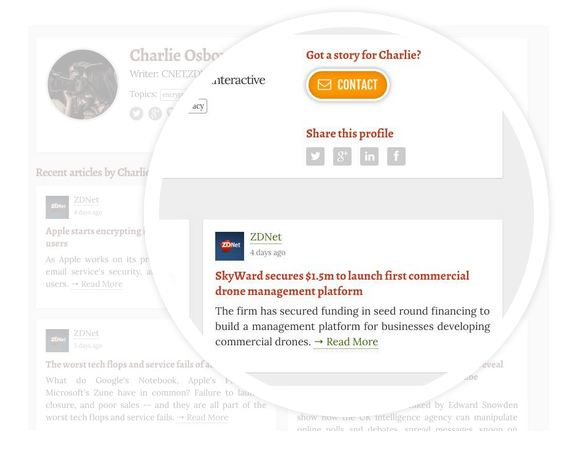 PressRush helps PR professionals and marketers get more press. Discover journalists, do research, get alerts. I've been using PressRush for more than a year. I really love the product and would recommend! Pros: PressRush is very simple to use. By easily clicking one button you can add a journalist to a specific list. You can search by keyword or by journalist name and I've found the database to be pretty thorough. I like how you can also see their recent articles and know if you'll actually be pitching the right person. Cons: I don't like when a journalist is included in the database but there is not any contact information for them; this does not happen often though.